UC is sending weekly emails to new students during term one to help them settle in to life at UC and ensure they have the information they need for a successful start. The emails align with the new student handbooks and include information and advice on studying, wellbeing, support services and getting involved in UC life. They also address some of the issues we know new students face, such as feeling homesick and the fear of failure. The messaging has been structured to provide information to students when they need it, and is based on findings from previous UCount surveys and student feedback. With O Day just one week away, and new and returning international students on campus from this week for International Enrolment in Person, we are ready to kick off a new academic year at UC. International Enrolment | Whakamanuhiri mai – We’re welcoming all new and returning international students to campus this week, with International Enrolment in Person sessions running from Thursday 7 – Friday 15 February. 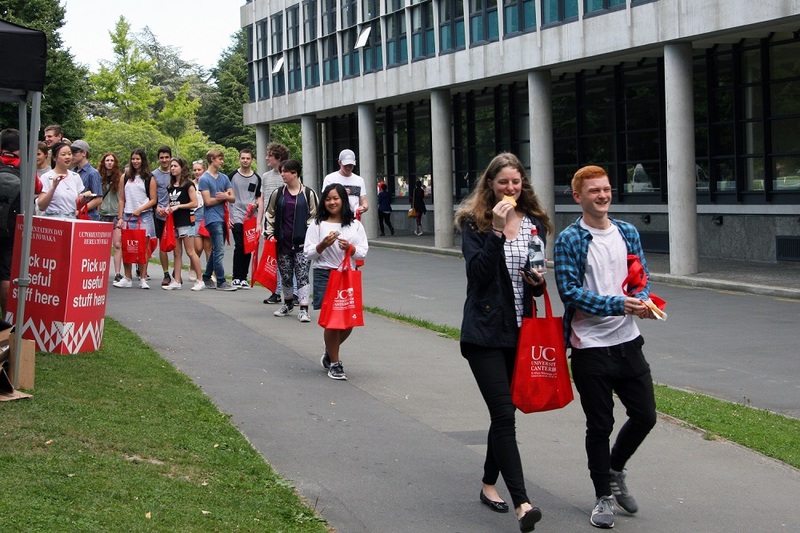 UC Orientation Day | Herea tō waka – With one week to go we are looking forward to welcoming our new students to campus next Friday 15 February from 9.30am – 2pm. For most new students, family and whānau, O Day is their first true exposure to university life, and their experience on the day will set the scene for their time here. We hope the day will set the foundations of academic success and connection with our UC community. Welcome Centre – International students can come and get help printing any documents they need for enrolment. Students can also get help with enrolling in courses, sorting out their timetable, and can find out what services UC provides. Domestic students can also register for their Community Card, which makes general practitioner visits free and lowers the cost of other medical services. A new slide pack has also been developed to play on a loop at the Welcome Centre. It highlights a variety of services on campus and tells students where they can go online to find out more information about each. Stop by the Welcome Centre on the first floor of the Matariki building to find out more. UC Wellbeing – Details support, health and advice services available on campus, including the Student Services Centre, Student Care, the Health Centre, UniLife and equity and diversity. UC Study – Provides information and guidance to help students succeed academically. Features services like LEARN, the Academic Skills Centre, Disability Resource Service and mentoring. UC Student Life – Illustrates the variety of opportunities to get involved and find something geared towards a student’s specific interest. Highlights services like UC Rec & Sport, UCSA and clubs and societies. Copies will be distributed to new students on O Day. Electronic versions of the handbooks can be downloaded HERE. Staff and student referral guide – This helpful guide has been revamped to include additional services offered to both students and staff. While it is still primarily student-focused, staff members can now use it themselves for services such as Communications and Events, Media, Marketing, Design and the Canterbury University Press (CUP). Additionally, services such as IT, printing and copying and the Library have been added to help make students’ lives easier, along with a campus map highlighting the locations of some key support services. Copies of the new referral guide will be distributed at the Staff Forum on Wednesday 13 February. New Students webpage – New students can find all of the information they need on the New Students webpage. On the page, new students can download the new student guides, find information about their first six weeks, review the Code of Conduct and find information about support services. You will have noticed that we have a large number of new students on-campus as part of Orientation Day | Herea tō waka. If a student looks lost, please help them out – and if you don’t know how to answer a question, please direct them to the Welcome Centre at the ground floor of Matariki or the Info Hub in the Undercroft. Thank-you to all staff who have helped make this day possible. They work with students to find the information they need for assignments and help get their referencing right. They can check out their subject guide and book an appointment. It’s like Google but only finds what they need for your assignments. They’re free to use. Some of them are eBooks that you can access online. They’re unique to Aotearoa New Zealand and the Pacific and can be seen at the Macmillan Brown Library. Whatever their ethnicity, gender, age, national origin, disability, sexual orientation, education, religion or taste, there’s a place for everyone in the Libraries. Together we’ll create a supportive environment to help students achieve their potential. 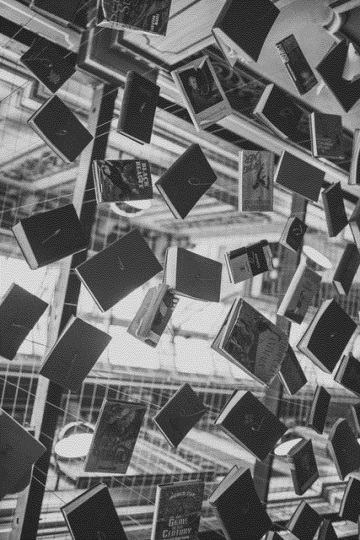 From 1 August we’ll be offering a range of short online workshops on how to find, evaluate and reference academic resources in time for the first assignment rush in Term 3. Please spread the word to students. UC Orientation Day (O Day) on 17 February is a major event in the UC calendar. For most new students, it is their first true exposure to university and their experience on the day will set the scene for their time here. UC O Day is the best way for new students to find out what university life has to offer and a few hours of your time can help make a difference. The Events and Partnerships Team is seeking staff volunteers to assist with O Day. Please click here to view the tasks and times volunteers are required. If you are interested in helping, please email events@canterbury.ac.nz and tell them what task you’d like to volunteer for. If you aren’t able to volunteer, you can still help make UC O Day a positive experience for new students – whether it’s giving a friendly smile to a fresh face on campus or helping people who are looking a bit lost.